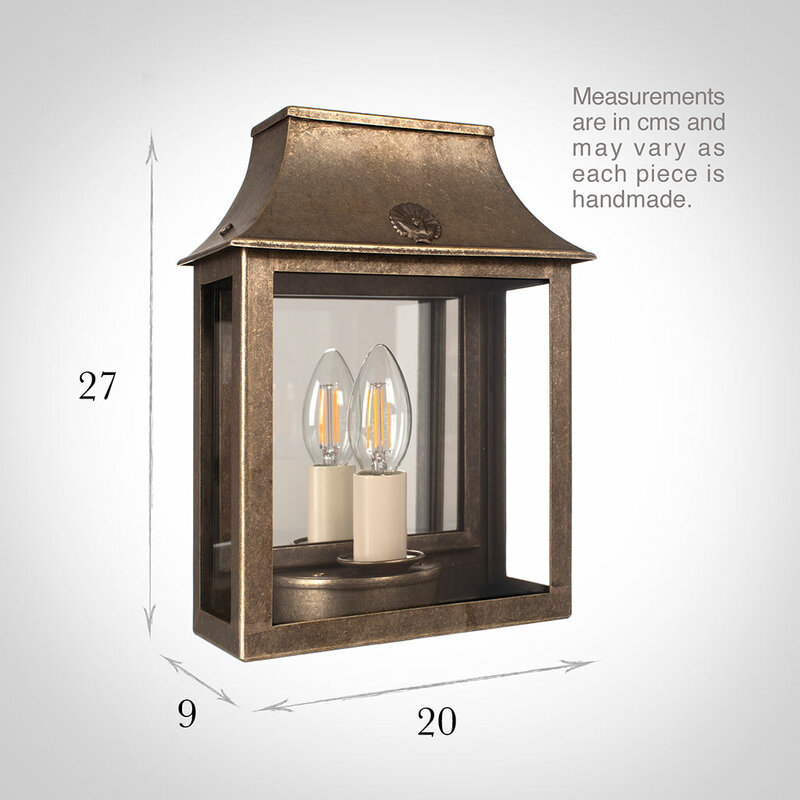 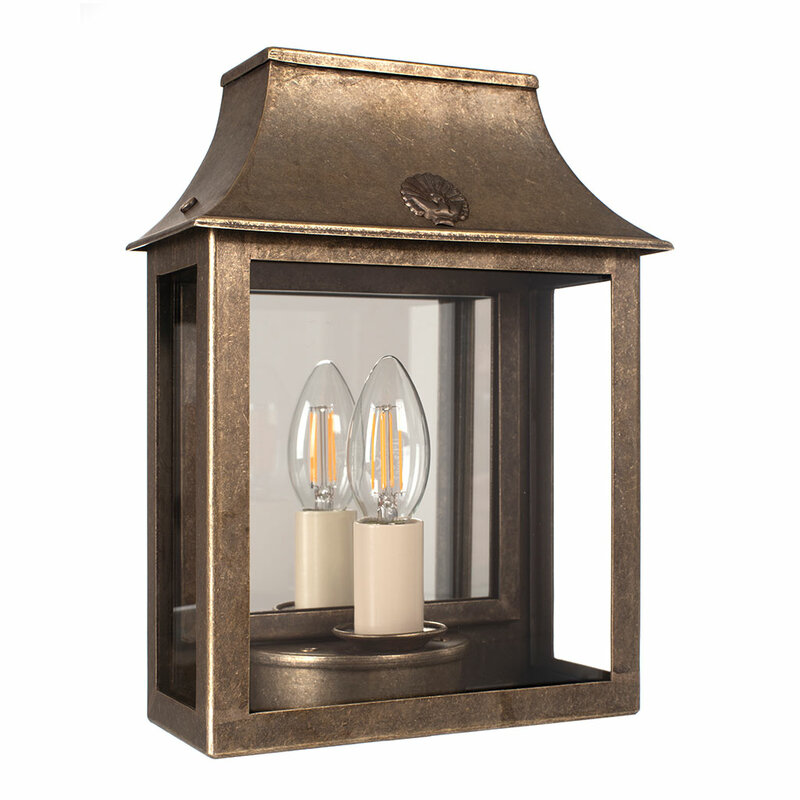 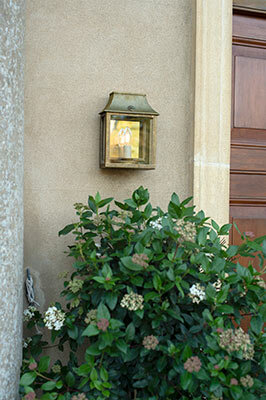 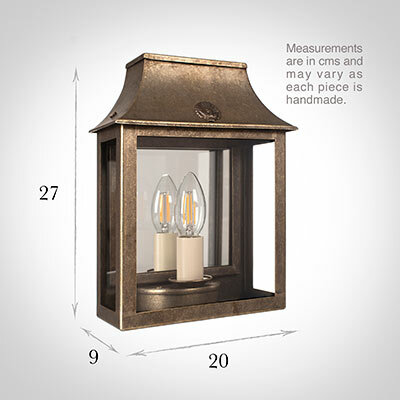 An attractive lantern, hand made in solid brass and lightly antiqued, with a decorative peacock emblem and a beautiful mirror in the back - to cleverly reflect the the light of the bulb when in use and the beauty of the garden at other times. 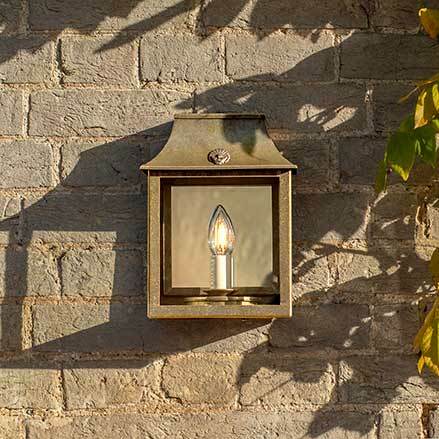 This Peacock Lantern is modestly sized, so although not tiny like our Clipper and Doncaster outdoor lights, it would also work in a small space. 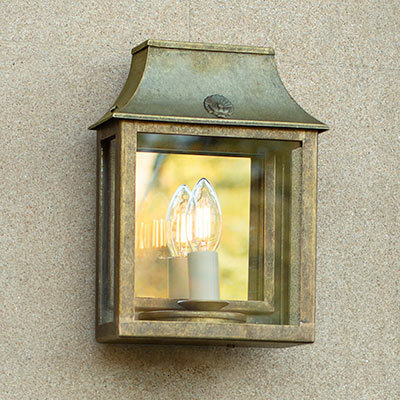 Because solid brass does not rust, it is perfect for use outside. 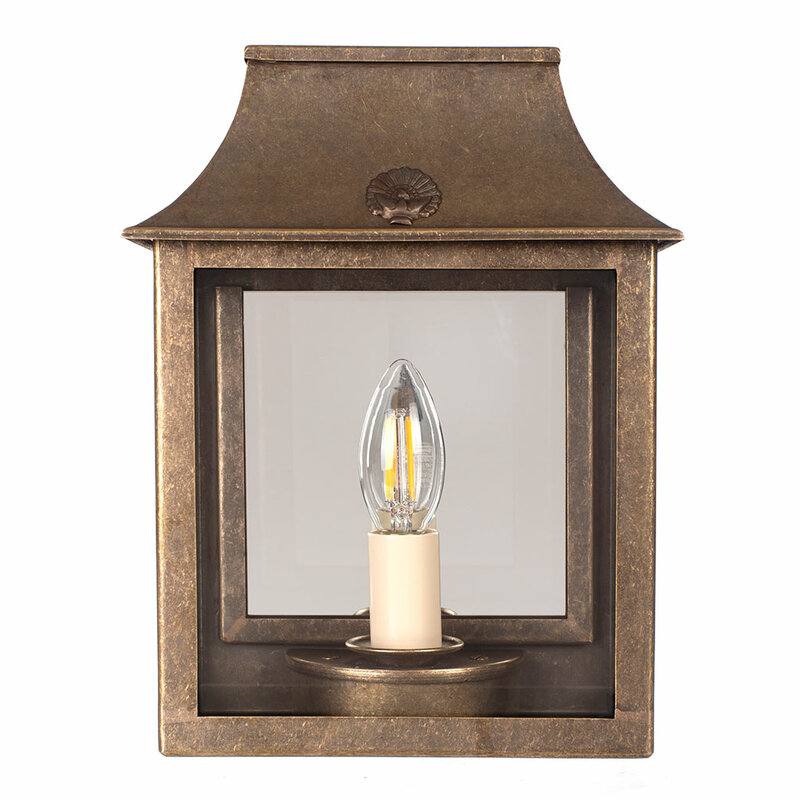 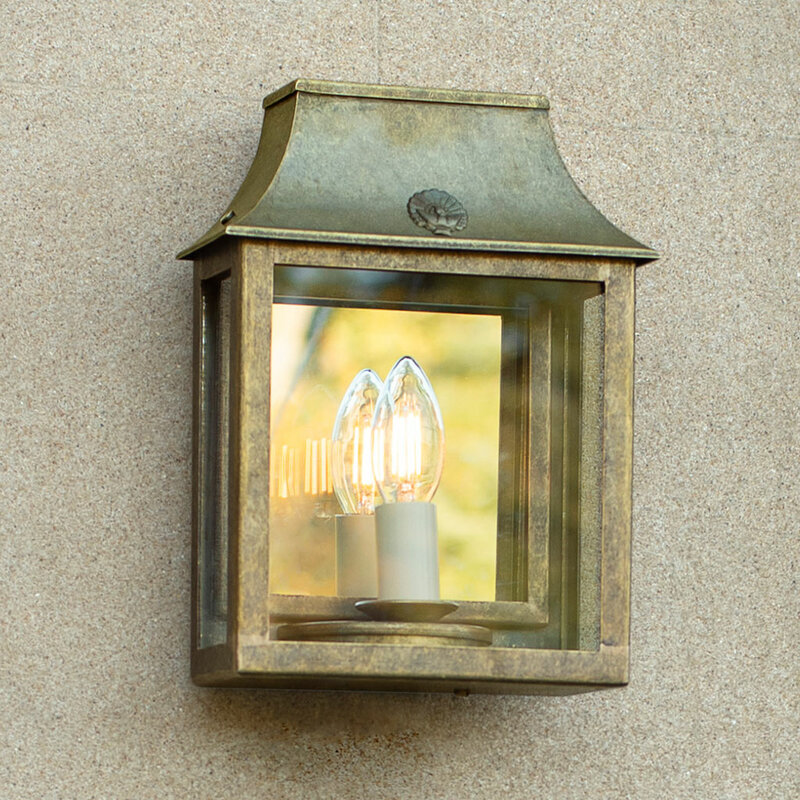 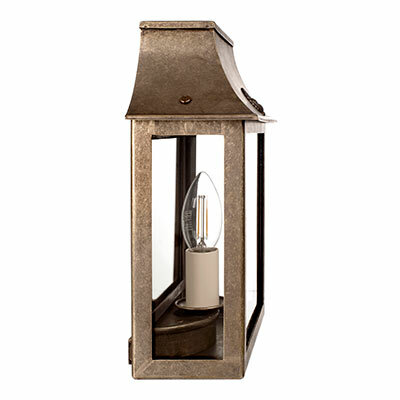 We have designed a variation of this lantern with a gorgeous vintage mirror, to refelect the light around your outside space. 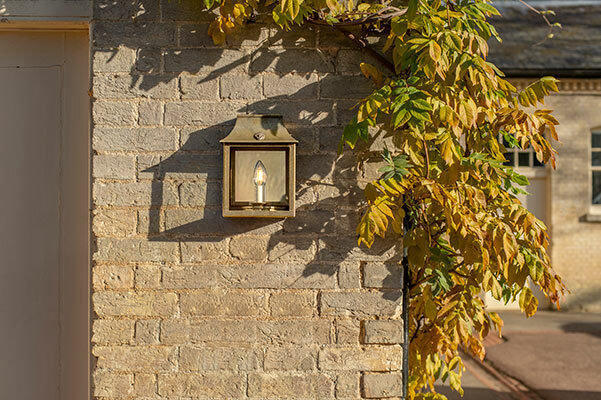 Fitting Options: can be supplied with E14 (small edison screw) bulbholder for Europe on request, please call for information.